It’s World Milk Day, and we at TechnoServe want to celebrate the important role that dairy animals and products can play in lifting communities out of poverty. For starters, according to the FAO, milk is one of the most-produced and most-valuable agricultural commodities worldwide, accounting for about 14 percent of global agricultural trade. It is also a local commodity, produced and consumed by families and communities around the world. Approximately 150 million farming families are directly and indirectly supported by dairy livelihoods – this means more than just cows (think sheep, goats, buffalo) although the vast majority are dairy cattle. In developing nations, farmers usually keep just two or three heads of dairy animals, which provide a regular source of food and income for their families. Given the many opportunities to add value to raw dairy products, the sector also creates livelihoods along the entire value chain. Dairy’s ability to provide food security for farmers surpasses that of most crops or products. While many farmers do not rely on cash crops or meat for subsistence, milk and dairy products can both be sold and consumed at home, providing essential proteins and other nutrients for farming families and entire communities. On a global scale, these products are essential to reducing hunger and malnutrition, particularly for children and pregnant women. Dairy livestock also support women by allowing them to play a major role in community economies. It has been estimated that dairy cows are owned by women in 25 percent of cattle-keeping households. But even on farms where women are not the owners, they are greatly responsible for caring for, breeding and milking the animals. When women have more opportunity to put food on the table and produce income, they gain more decision-making power in their families and local economies. Thus, dairy farming plays a complex and crucial role in poverty reduction, food security, gender equality and job creation – all essential factors in healthy communities and market systems. TechnoServe works to harness the dairy sector’s full potential to improve livelihoods by creating and supporting inclusive, productive and sustainable dairy value chains around the world, from the farm to the final consumer. 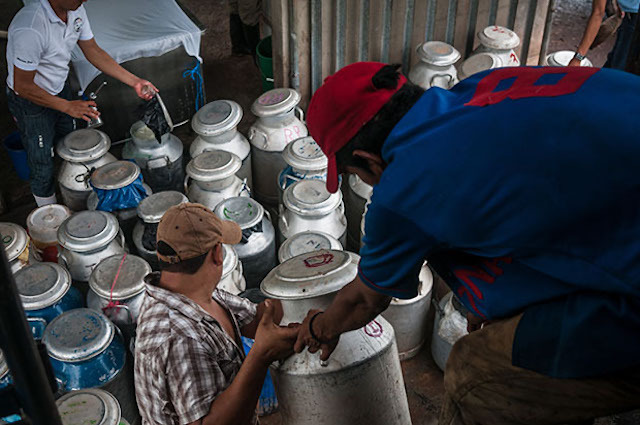 Through the Ganadería Empresarial project, TechnoServe partnered with La Perfecta – a Nicaraguan dairy company – and helped the COOSEMUP cooperative to establish a milk collection center. In the field, such efforts can take many forms. In Nicaragua, TechnoServe’s Ganadería Empresarial (GANE) project approached this challenge by pursuing several business opportunities in the livestock sector. In addition to improving the productivity and quality of livestock and milk produced by smallholder farmers – the undeniably important foundation for a strong dairy sector – TechnoServe staff also increased access to agricultural support services such as farmer cooperatives, among other activities. 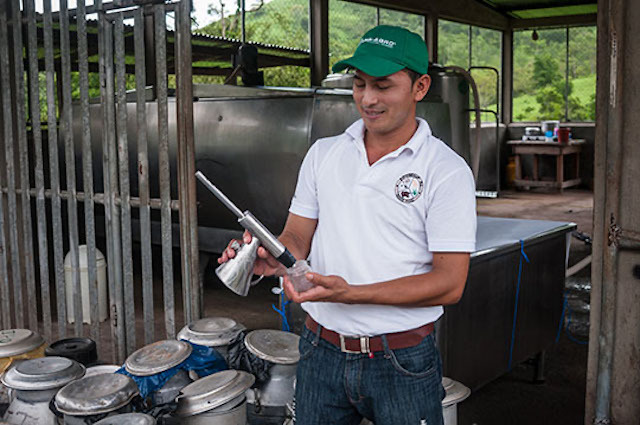 By implementing simple business training and solutions in an existing value chain, GANE staff ensured that the dairy sector would be a powerful and lasting force improving livelihoods in Nicaragua. 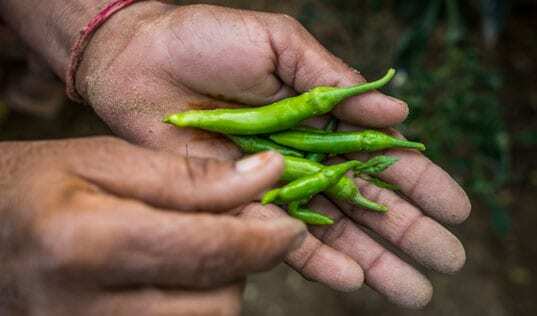 Ten years ago, a group of farmers in Paiwas – located in Nicaragua’s Southern Caribbean Autonomous Region – formed the Multiple Service Cooperative Union of Paiwas (COOSEMUP, as it is abbreviated in Spanish) to increase their farming incomes and improve their livelihoods. As Hernán Toledo, president of the cooperative, explains, “forming a cooperative was the only way for us to advance.” But several years into their new venture, the cooperative was in dire financial straits, and members were frustrated by the managers’ limited technical capacity. In 2014, COOSEMUP partnered with GANE in order to improve its management and to expand services for its members. “Since joining the GANE project, the cooperative has been able to consolidate itself,” reports Toledo. 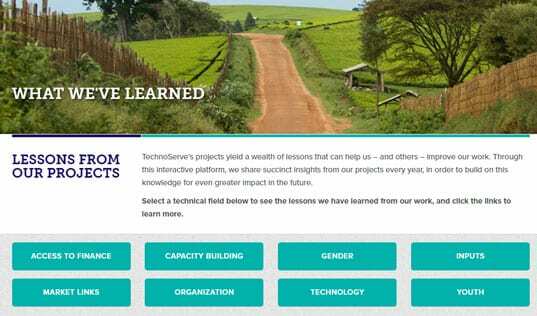 TechnoServe provided capacity building training for both the cooperative’s board of directors and staff, covering topics such as management, administration and finances. Additionally, COOSEMUP, TechnoServe and La Perfecta – a Nicaraguan dairy company – formed a partnership to establish a milk collection center. COOSEMUP raised $61,324 from its membership to purchase land and to build a structure to house the facility. One year after establishing the collection facility alongside TechnoServe, COOSEMUP was able to increase their monthly milk collection from 15,000 liters to 96,000 liters per month, generating annual sales of about $360,000. In addition, La Perfecta loaned the cooperative two milk-chilling tanks with a combined capacity of 7,600 liters per day. This equipment was loaned on the condition that the COOSEMUP sell a guaranteed volume of milk to La Perfecta. The GANE project also provided the cooperative with milk testing equipment and provided training on how to best utilize these new tools. After establishing the collection facility, COOSEMUP rapidly scaled up its new business. Shortly after the plant opened, 30 cooperative members were collecting 15,000 liters of milk per month. One year later, 42 cooperative members were collecting 96,000 liters per month, generating annual sales of about $360,000. Most importantly, the new collection center provides COOSEMUP’s members with more stable prices. They now sell their milk to La Perfecta at $0.28 per liter, while most members used to sell to local cheese makers for about $0.22 per liter. COOSEMUP’s experience shows that even a young cooperative can establish a serious business that provides substantial benefits for its members, and that making simple market connections can create sustainable value chains in which farmers and other workers can thrive once provided the skills and tools they need. Not a bad thought for a Happy World Milk Day.